When my house was built three years ago I asked the contractor NOT to build shelves because I thought maybe I'd try one of those 'closets turned desk' nooks I've seen all over Pinterest as the closet is pretty deep! Alas, that never happened and the mess just grew and grew for lack of proper shelving. One of my goals on summer vacation was to fix this problem and DIY some shelves! I loosely followed a tutorial from House of Hepworths to figure out how to start, then went to Home Depot with my measurements and purchased two sheets of partical board. A nice gentlemen who works at HD made all the cuts for me (even the small 'bracket' pieces on which the shelves are set). 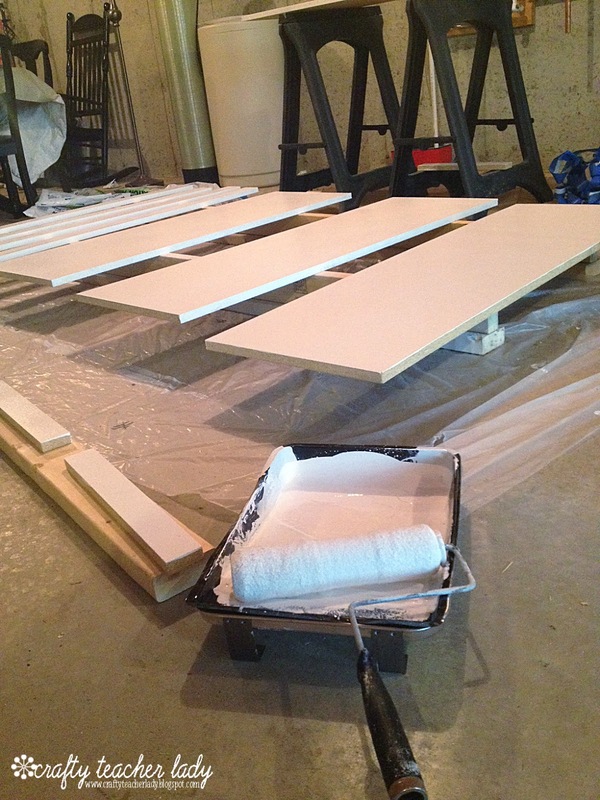 I then lugged all the boards home to my basement where they received two coats of white semi-gloss paint. 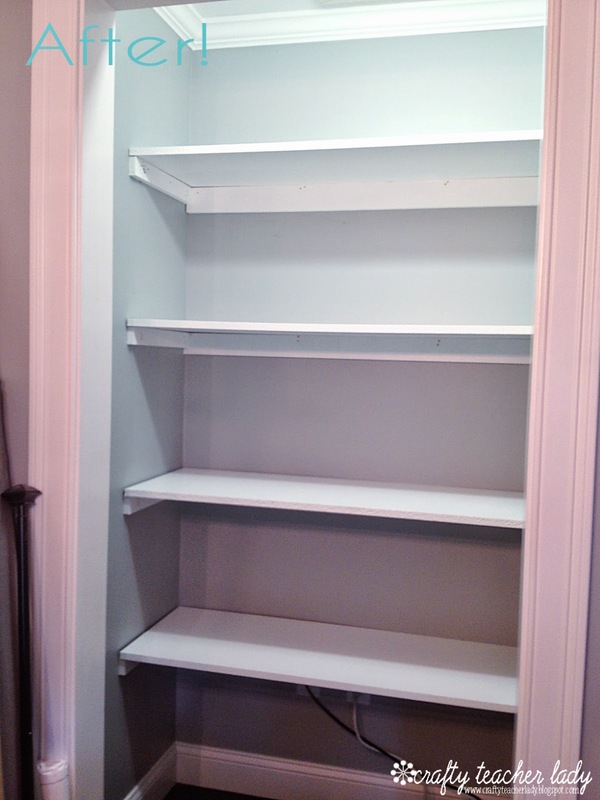 Because these shelves are in a closet, I don't mind the sort of 'rough' edges and look of the partical board. If I wanted a more polished look I would have chosen pine. But, the semi-gloss paint did help 'fancy' them up a bit! I've since filled the shelves with all of my craft supplies, printer, and other office-related items! 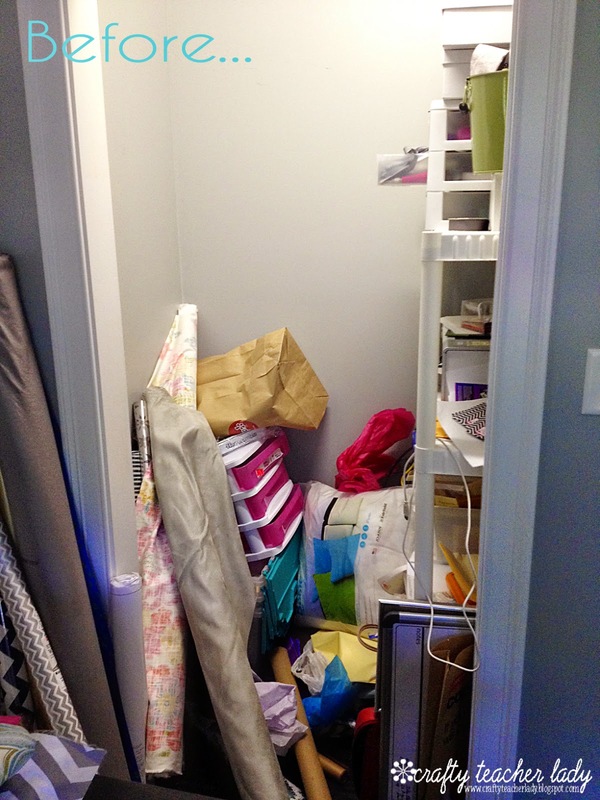 It's so nice to be able to walk into the closet and clearly see where everything is! Plus, it gives me a sense of accomplishment! More pictures of my entire office space can be found here! 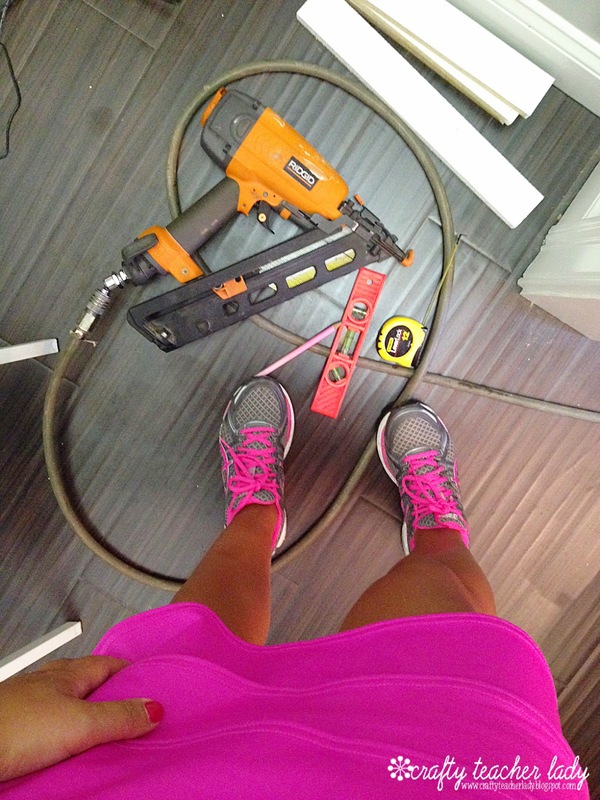 Tell me, what projects have you completed that have made you proud of yourself? ?